British Tour hope Bradley Wiggins was the star guest at Saturday’s Dave Rayner Fund-raising dinner at the Majestic Hotel in Harrogate, where he declared that if he couldn’t win the 2010 Tour, it would not be for want of trying. Other guests included new Team Sky signing Russell Downing and TV entertainer, Sir Jimmy Savile, a long-serving supporter of the Fund which pays for promising youngsters to experience racing abroad. David Millar has so far been the most successful of the 100s of riders to gain from Fund backing over the years. Among the 12 Rayner riders credited with top 10 places abroad this year, Alice Monger Godfrey from Surrey, came top, with two wins. Over £13,000 was raised during the evening, most of it in the auction of 19 prized pieces of cycling memorabilia. Bradley Wiggins’s green jersey from this year’s Tour de France was a popular item as was Russell Downing’s yellow jersey from the Tour of Ireland. 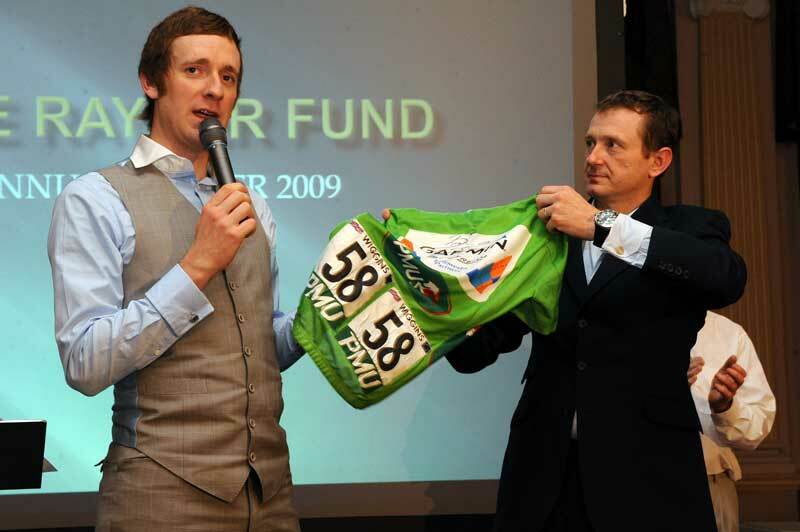 Bradley Wiggins auctions off his Tour de France green jersey. There was no telephone bid from Mark Cavendish. 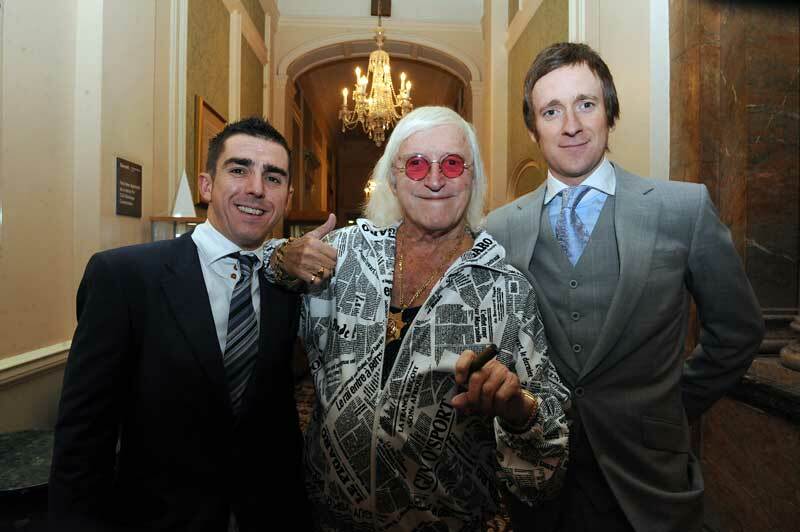 Russell Downing and Bradley Wiggins pose with Sir Jimmy Saville. For a full report from the Dave Rayner dinner, see Thursday’s Cycling Weekly.